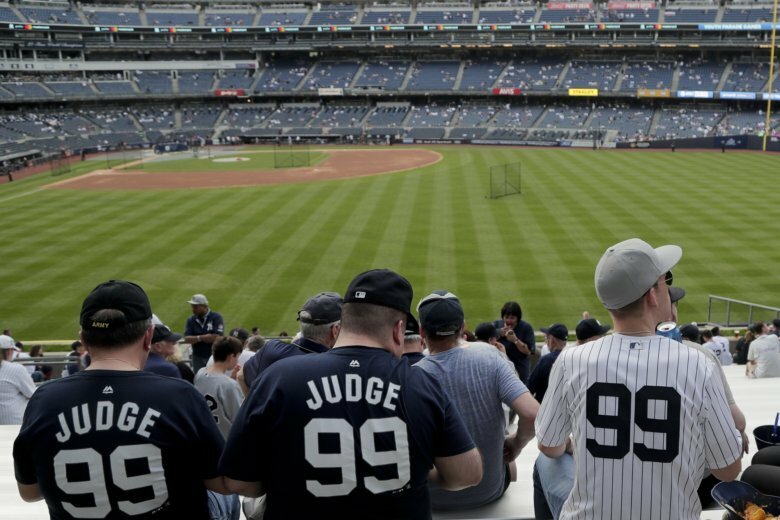 NEW YORK (AP) — Aaron Judge again has baseball’s most popular jersey. MLB says the Yankee slugger’s No. 99 was the top seller for the second straight season. Judge beat out 2017 AL MVP Jose Altuve, who will be trying to repeat as a World Series champion with the Houston Astros next month. Los Angeles Angels two-way sensation Shohei Ohtani ranked eighth. The Japanese rookie also had the most visited player page on the league’s website.